In May 2008, Angela Hewitt, Canada's favourite concert pianist and Godfrey Hewitt's daughter, gave two Bach piano recitals (The Well-Tempered Clavier, Parts I and II) in St. Andrew's Presbyterian Church, Ottawa, to raise additional funds for the scholarship fund in memory of Godfrey Hewitt, organist of Christ Church Cathedral, Ottawa, from 1931 to 1980. The fund, established in 2002, is administered through the Ottawa Centre, RCCO, and already offers an academic scholarship of $5,000 annually to an outstanding Canadian graduate student in organ. This very generous additional donation by Angela of her time and talents in 2008 has enabled the Trustees of the Godfrey Hewitt Memorial Scholarship Fund to establish a new Prize in Organ-Playing. 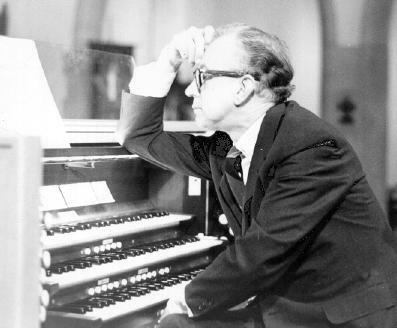 The Prize in Organ-Playing will be presented in memory of Godfrey Hewitt by the Ottawa Centre, Royal Canadian College of Organists, at the National Organ-Playing Competition which is held every other year at the National Convention of the Royal Canadian College of Organists. Generally, three prizes are awarded at this bi-annual competition. An initial Godfrey Hewitt Prize of $1,000 was presented as the Third Prize at the 2007 competition, held in Edmonton. At the 2009 Competition in Toronto, we supplied the second prize of $2,000. Beginning in 2011 at the National Convention in Hamilton, and then at subsequent National Competitions, the Godfrey Hewitt Prize has been awarded as the Grand Prize, amounting to $5,000. Applications for the National Organ-Playing Competition offered by the Royal Canadian College of Organists can be made through the web-site of the Royal Canadian College of Organists, www.rcco.ca/competitions. The Godfrey Hewitt Memorial Prize was established in memory of the late Godfrey Hewitt, C.D., D.Mus. (Cantuar), FRCO, Hon. ARSCM. The purpose of this Prize is to award an annual Prize through the National Organ-Playing Competition which is held every other year at the National Convention of the Royal Canadian College of Organists. .the next such Competition will take place in Halifax in 2019. Provided that there are suitable candidates, several prizes are awarded by an independent jury at the National Organ-Playing Competition every other year. In 2011 at the Competition in Hamilton, and at subsequent Competitions, the Godfrey Hewitt Prize is the Grand Prize of $5,000. A cheque will be provided to the successful candidate by the National Office, Royal Canadian College of Organists, at the conclusion of the National Competition.